Poropetra was born as Juha Jyrkäs moved in Tartu, Estonia, to study Estonian language in the autumn 2002. 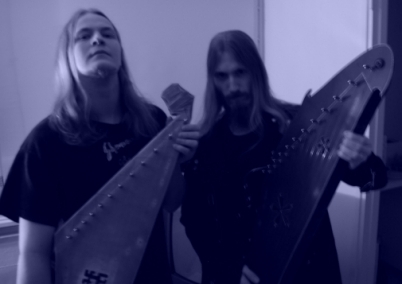 In the beginning band's musical line was basicly up to kantele (the traditional Finnish string-instrument), runo-singing and Finnic traditional music along only slight elements of heavy metal. Rather soon there came along the elements from Tuvinian throat-singing with and different elements from the world music. In the same time the bottom got deeper to comprehend the musical traditions of other Finno-Ugric peoples as well - the most important of them was Sámi yoik-singing. 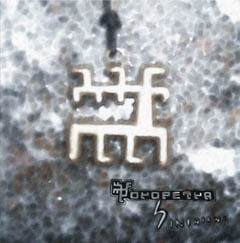 In the year 2004 band made their first Poropetra -MCD as Jyrkäs moved back to Finland. In that time the line-up was comprised by Herrs Kuuraparta and Hittavainen with Jyrkäs. Hittavainen also recorded and produced the -MCD. During the year 2005 the soundscape changed more heavier as there came new songs, but the songs itself came yet more closer to the real traditional music. 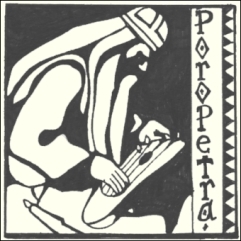 The role of throat-singing grew and there came along too even some experimental elements in the form of distorted electrified kantele. Drummer-percussionist Aapo Hopeakoski and female singers Nancy and Elsa joined in the band bringing some important special extra what comes to rhythms and singing. In the beginning of the year 2007 Poropetra is finishing the recordings of their first forthcoming long CD Sinihirwi. Hra. Moccasieni: guitar solos in "Kurkilintu"